I bought some wonderful fresh Burrata cheese at the grocery store the other day (right at my regular Kroger store, not at a specialty market!). 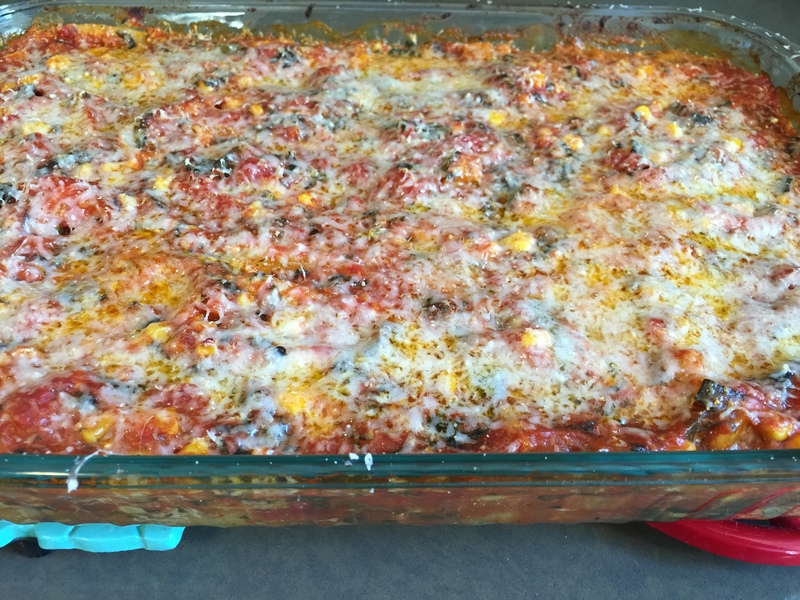 I had a couple of recipes in mind when I bought it, but when I found it in my fridge I had gone through all my freshly purchased tomatoes. It was a rainy and gray day outside, so I had no intention of running out to the store. 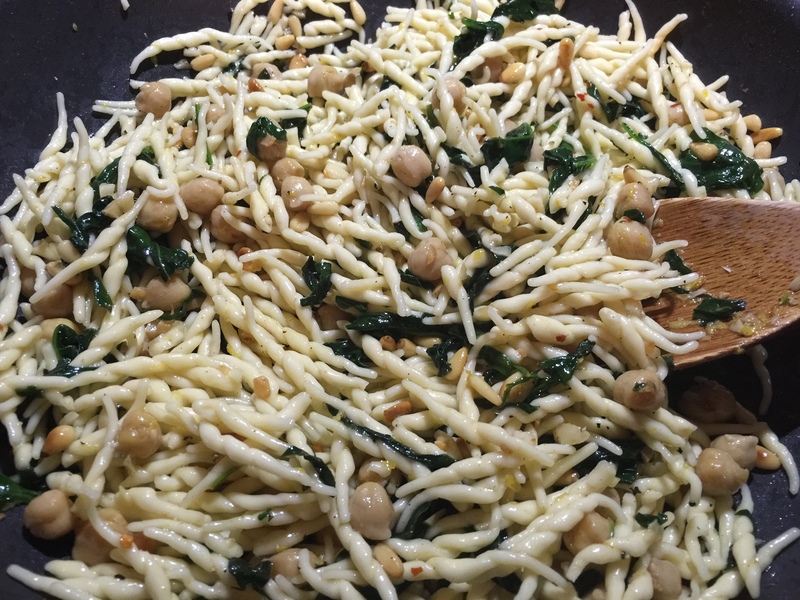 I have made a similar pasta with chickpeas and spinach before, so I thought incorporating it into this nice lemony recipe would work out well. 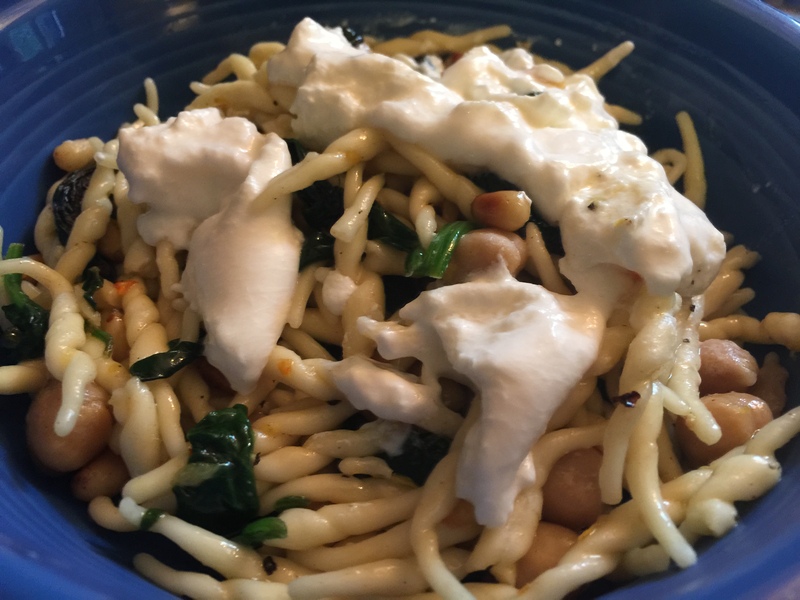 It is a quick dish and the lemon and creamy Burrata really pair well together with the other elements. Serves 4. Takes 20-30 minutes. 1 lemon: juice the lemon and set aside juice. Zest the outside of the lemon and set aside zest. Place a large pot of water to boil. Cook your pasta until al dente and then drain and rinse in cold water and set aside until later. On medium heat skillet, Melt butter and add the olive oil. When heated, add garlic and cook for about one minute, until turning golden. 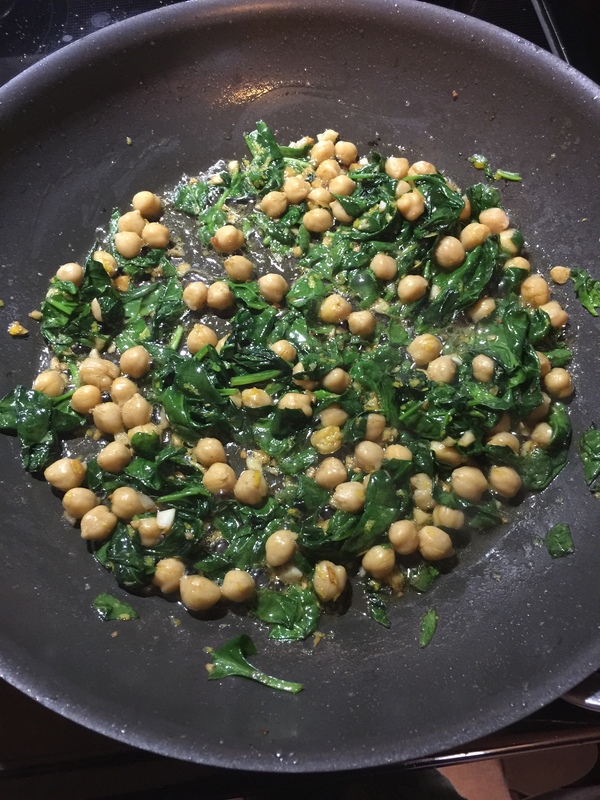 At this point, add your spinach and chickpeas to the pan. Mix and cook down for 2-3 minutes. 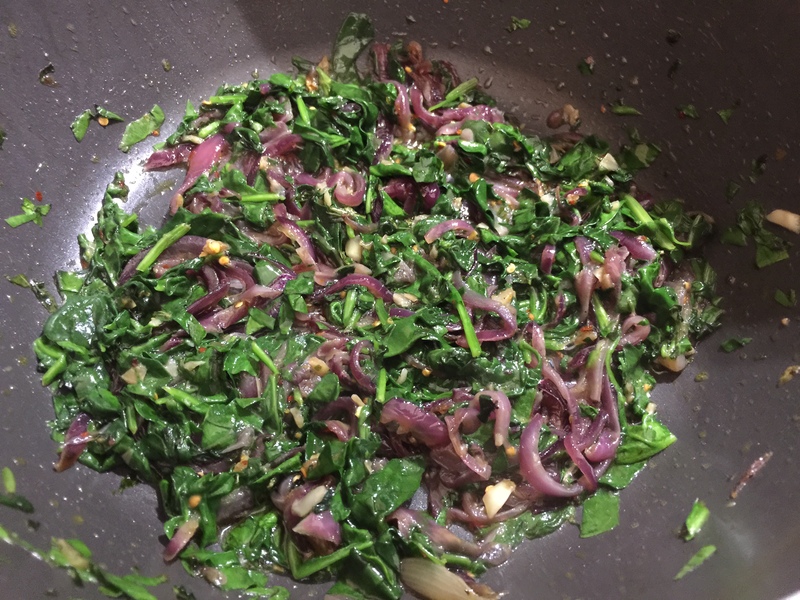 After your spinach has wilted down, add lemon zest, salt, pepper, crushed red pepper, and your toasted nuts. Stir and let cook for another minute. Now get your pasta and add it into the pan. Coat the pasta with sauce and let sit on low heat. Add your lemon juice to the pan and mix all together, letting cook for a minute or two. Ready to plate and eat! Just throw a few dollops of that beautiful Burrata on top and stir it up as you go! Starting off my medical musings talking about death may not be the way to reel people in, but the concept of a death and dying is one that you cannot avoid when you are a physician. For most of our patients it is something that they never think about until all of a sudden it is upon them or a loved one. Even those with known terminal diagnoses are still be taken aback by that moment of finality when you tell them that no, there is really nothing left we can do- this is the end. Helping patients and their families at the end of life is at once the most difficult and rewarding part of my job. The moment when you look a person and their loved ones in the eye and tell them that they are going to die is one of the most intimate things you will ever do. Many times the person who is actually dying will be too sick to understand and their family will be listening in their stead. Each person and family needs to be told in a different way, because each person will cope with this news differently. Some people will want all the news broken at once, so they can grieve completely and plan. Some will want it delivered in stages and small doses, to preserve hope for as long as possible. Every sentence out of your mouth is a litmus test for how to continue proceeding and to build up the relationship you have started with the patient and their family. If you say the wrong thing, and you lose them, that bond is hard to build back up. In those moments, it is very important to find out what the patient would want done at the end of life. What does a good death mean to them? For the vast majority of people it is not dying while in the ICU on a ventilator, but that is where a lot of these conversations take place- once that has already happened. One of the hardest things to do as a caregiver is to stop giving care. We are trained to “fix” and “do.” Many times it is easiest to continue to press onward indefinitely then to really step back and look at what then end result is. If the cardiology doctors have the patient’s heart stabilized with anti-arrhythmic medication, the pulmonary doctors have their breathing stabilized with a ventilator machine, the gastroenterology doctors have their gastrointestinal bleeding stabilized with a proton pump inhibitor, the infectious disease doctors have their bacteremia stabilized with antibiotics, the orthopedic doctors pinned their broken hip, the hematology doctors are transfusing blood and platelets every day, and the patient is getting nutrition through an orogastric feeding tube- then everything can drift forward indefinitely. The questions we have to ask ourselves as physicians are: will this patient recover? What will their quality of life be like if they do? In this way we can have informed discussions with patients’ families about decision making. The problem is that many times the prognosis is far from cut and dry. When a person has been very ill, we sometimes cannot tell how much function they will recover. Will they be able to speak, eat, sit up, walk again? It will sometimes be weeks and even months before we have a full idea of their outlook. These uncertain cases are the most difficult ones for us as physicians. Other very challenging cases are ones in which we can clearly see that a patient will not recover from a devastating injury or illness. Many times these patients are already very ill in the ICU and the decision is made to withdraw life support. This is a complicated process in its own right that has many regulations in place that vary from state to state. Each of these scenarios have a common thread. They require communication, in spades, between the doctor and the patient and/or family. This is one of the biggest barriers to making sure that people can have a good death. Time. To talk to your patients in the office about code status and living wills takes time. To talk to every patient who comes in to the hospital in depth about code status takes time. Time is something we doctors have very little of to spare, and it limits our ability to fully engage in these discussions with our patients. Most patients I admit to the hospital have never heard the words “code status” before. These are patients with severe chronic obstructive pulmonary disease, coronary artery disease, congestive heart failure, diabetes, peripheral vascular disease leading to amputated limbs. In other words- very sick people, but their understanding of their own illnesses is limited and skewed. What does this mean in terms of their thoughts about death? It means that the 75 year old patient with COPD who is chronically on 4 liters of oxygen has not thought through needing to get resuscitated or intubated or the possibility of a tracheostomy- even though that would be a permanent fixture and he could be comatose on the ventilator for the rest of his life. It means that the 80 year old patient with CHF whose heart pumps at only 10% of normal strength continues to want full resuscitative measures even though she states she never wants to end up “a vegetable.” If asked outright, both of these patients would tell you they would like to die at home with family around them. Both patients have high risk factors for impaired quality of life after CPR and for CPR to not be successful due to their severe chronic conditions; meaning, if they were to ever need CPR the chances of them recovering afterwards without any long term problems are poor. CPR works well on people who are healthy and young. As you age and the more medical problems you have, the less likely it is to be successful. The more likely that if you need CPR you will wake up with more debility and problems that you started with, along with many broken ribs. So how can we make a change? Start talking about it, for one. Death is something to be planned for and accounted for; it will happen to us all eventually. The way to have a good death is to make your wishes known to your family and your doctor as early as possible. This also takes the burden of making decisions off of your family and lets them be at peace should they have to speak for you. It is very hard on families to be placed in that position, and knowing that they are doing what you would have wanted eases the hardship. We, as physicians, need to talk about it as well. It is so hard to talk about bad diagnoses and prognoses, especially when there is a lot of uncertainty. I myself am still a young physician, and I am still learning. I have had a couple bad prognosis conversations go poorly. Even if you deliver the news as kindly, slowly, and deliberately as possible- it will be too overwhelming for some people. There are people and families that will continue to hope for a cure right to the very end. These cases are very heartbreaking to be a part of; the patient will almost always die in the hospital ICU after undergoing many tests and procedures and medical treatments that were futile in the end. I recently saw a former patient’s family in the hospital. This patient had come into the hospital in the last few days of her life. Her family knew she had been declining, but they had not grasped yet that she was going to die quite soon. She had advanced dementia and her nursing home had sent her into the hospital for severe dehydration and possible feeding tube placement. We all sat together and I explained to the family what was happening and that she was dying. I asked them what she would want to do if she could tell us in that moment. They all agreed she would want to be at home with her family. Within the day our hospice team arranged this. She was transported home and died the next day, surrounded by her husband, children, grandchildren, and great-grandchildren. When I saw the patient’s family again recently, they thanked me profusely. She otherwise would have passed away in a nursing home or at the hospital, and they were happy and relieved that they had the chance to spend her last day together at home. I accepted their thanks; I was glad I had helped her to have a good death. I really love stir fry, but for some reason I don’t make a lot of it at home. I never seem to be able to get the seasoning right. I am also a huge tofu lover, but when I think about incorporating it into meals myself I just get overwhelmed. Well- no more. I am going to be using it more. One reason I have trouble with it is that I always end up just totally annihilating my tofu when I go to get the water out of it. I have a tofu press currently on route to me from Amazon as we speak, but the old book pressing/towel pressing method usually ends up with me and a lot of tofu crumbles. 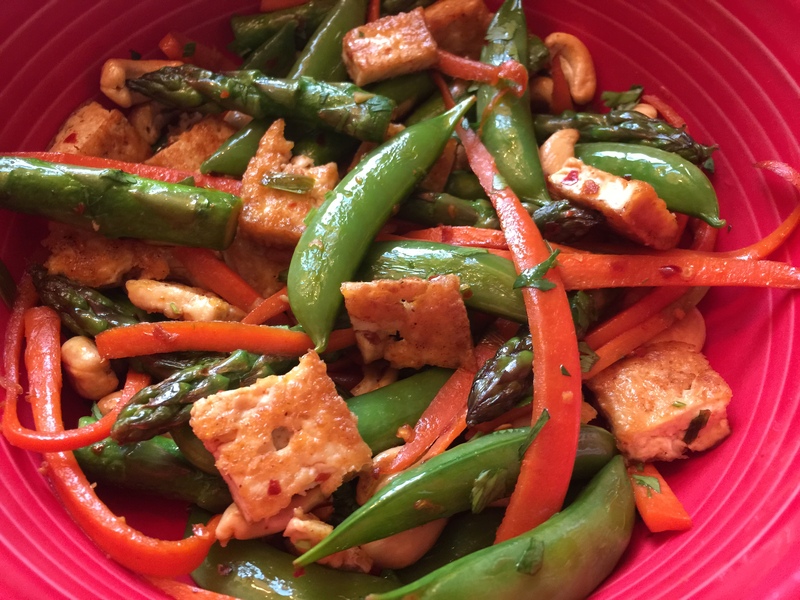 Well today I really wanted to make a recipe I adapted from Anna Jones’ A Modern Way to Eat, and I wanted to do it by adding tofu to the stir fry. So I just decided to lay down my heavy cast iron pan on it with some paper towels for about 15 minutes and let it be. I still didn’t get all the water out of it- but it didn’t end up a crumbled pile of tofu mess, either. So I consider it a battle won in my favor. Serves about 4. Time to make only 20-30 minutes. You may choose to serve over rice or noodles, I prefer to eat as is. 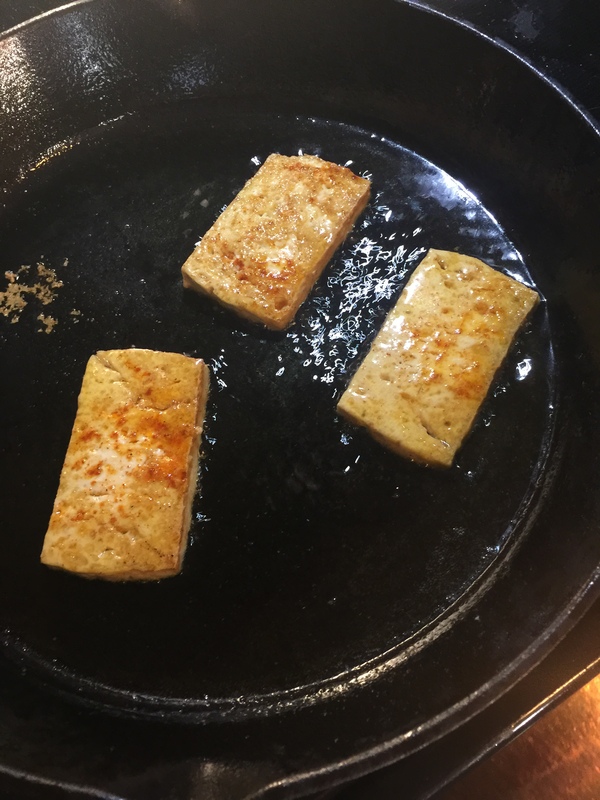 First, get a cast iron pan or a skillet hot with some oil to pan fry your tofu. Canola or vegetable oil are best to use here (I made the mistake of using grapeseed oil- argh! It just spat oil everywhere!). 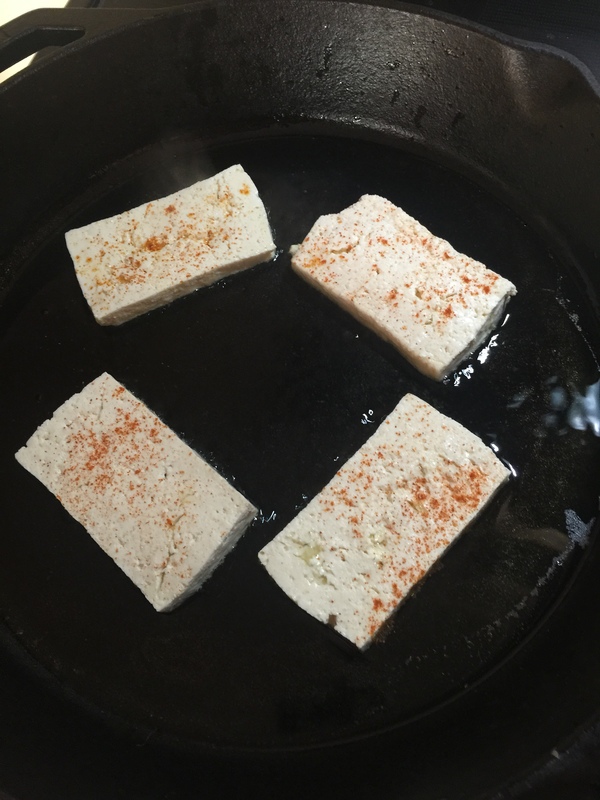 When the oil is hot and near its smoke point, add the tofu slices to the pan. They should sizzle immediately on hitting the pan. If not, it isn’t hot enough. When they are in the pan, I seasoned mine just with cayenne pepper. At this point, you don’t want to bother them. You want to let them get nice and crispy. Let them sit for about 5-7 minutes. If you have water left in them, you will know it- they will spurt and bubble and stick all over the pan. When you turn them you should have a nice golden crisp. Yum! Let them cook about 5 more minutes on the other side then pull them and put them on a paper towel to get the oil off and cool. When cooled down, cut into bite size squares and set aside until later. While the tofu is cooking, chop up all your vegetables for prep. Your green onions into small 1/4 inch pieces, carrots into matchsticks, asparagus into one-two inch sections (discarding the ends). Leave your snap peas whole. Peel and mince the ginger, as stated above. 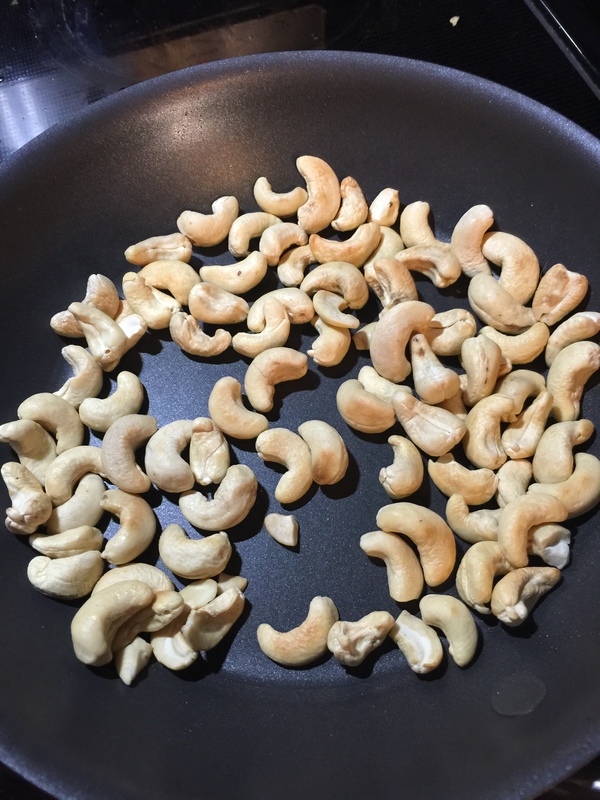 While these are cooking together for about 5 minutes, put your cashews on to toast. You can do this either on a pan on the stove or in the oven. My brother, the baker, was taking up the oven to cook pizza, so I used the stove-top. Careful not to burn them if you are using this method (I cannot count how many pine nuts I have lost by this method!). From this point on, you are just adding the rest of the mix to your skillet or wok and letting it all come together. 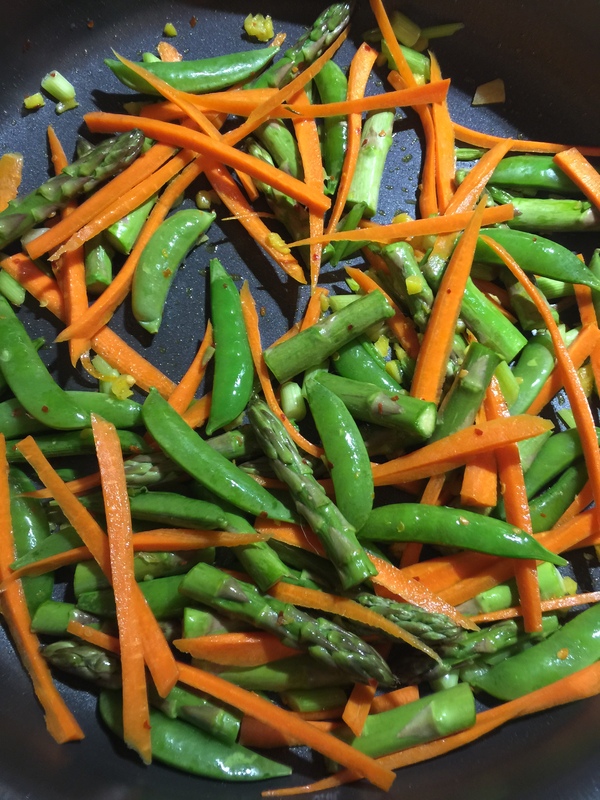 Add all the vegetables to green onions and ginger with 1 teaspoon of liquid aminos or soy sauce. Add in your crushed red pepper now, too. 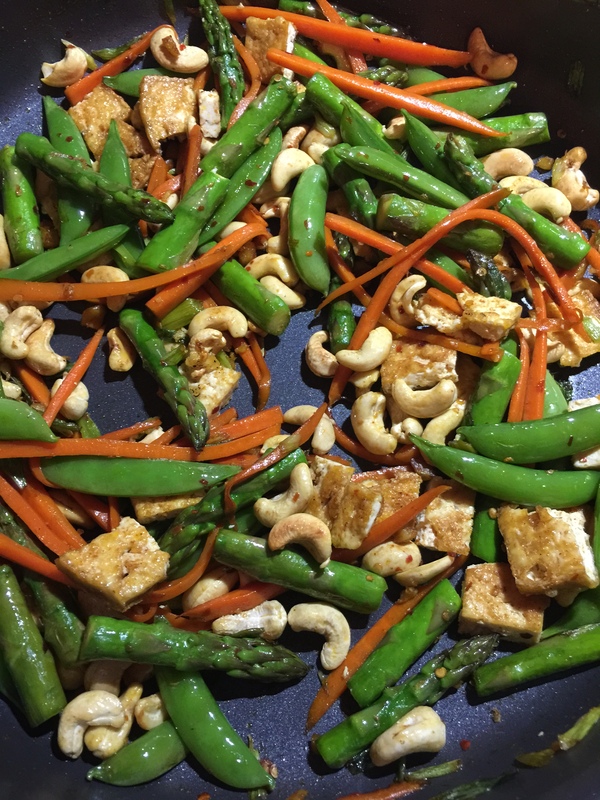 Let this cook for about 5 minutes again and then add in your cashews and tofu to the mix. Again, let cook for about 5 minutes to meld the flavors together. If it starts to look a little dry in the pan, add a little more sesame oil or the liquid aminos (just a small splash of either). You can add more cayenne, CRP, or even sriracha if it pleases you to spice this up. The spice level as is without them is moderate and pleasing. Before plating, finish in the pan with the lime juice and chopped cilantro. This dinner comes together very quickly. Under 30 minutes from start to finish for everything. A great weeknight meal. If you want to cut out even more time, you can leave out the tofu and just do the veg and nuts as Ms. Jones does in her version. This is really easy to mix up with whatever veg you have laying about in the fridge as well. So easy and good! ** As stated above this was adapted from Anna Jones’ A Modern Way to Eat. This is a great cookbook with a lot of variety, and it is all really healthy as well. I recommend you pick it up yourself at Amazon. 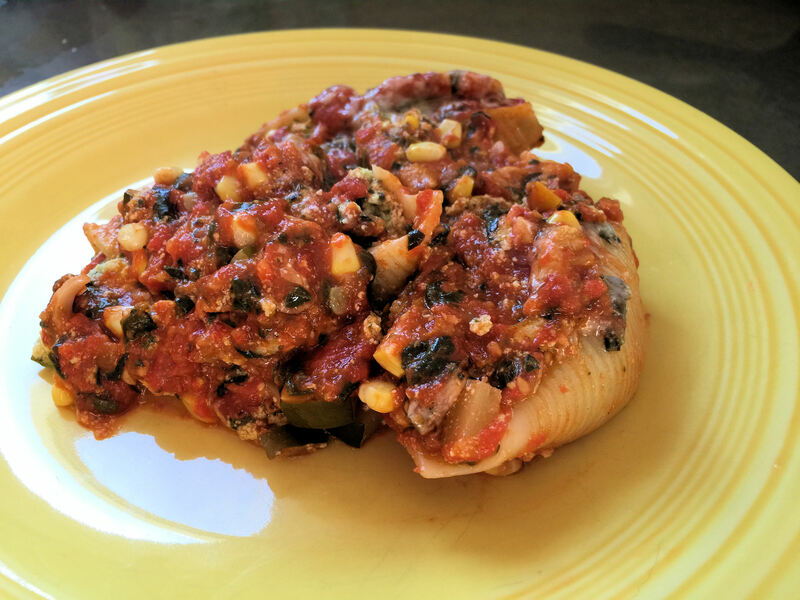 I wanted to start off with a delicious recipe that I cobbled together from several others. 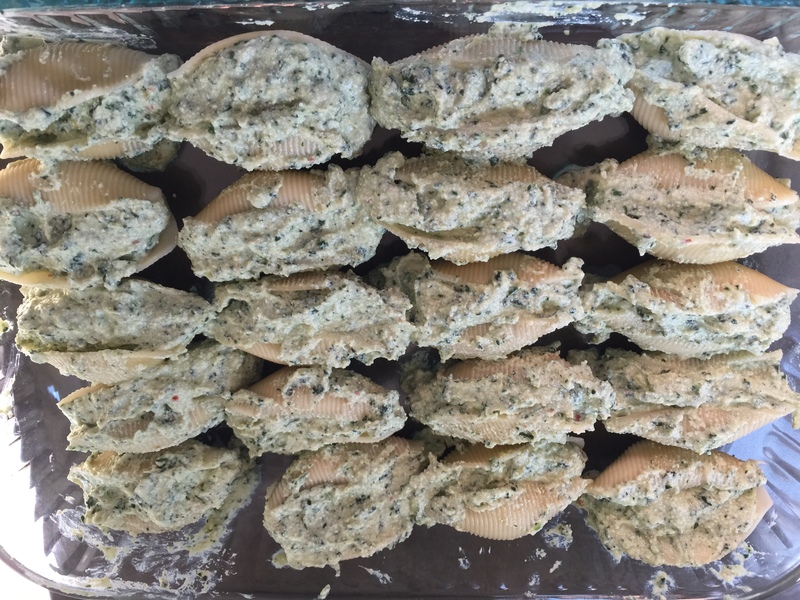 Tofu ricotta stuffed shells are pretty commonly seen and I just tweaked the filling a little bit here for my taste. The sauce really makes this dish for me. 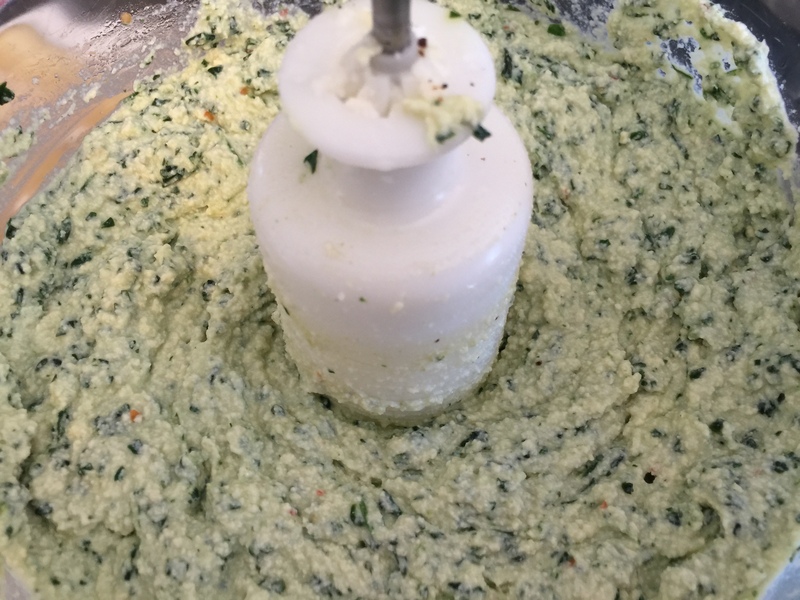 It is a take off of what is actually supposed to be the filling from a recipe in a wonderful cookbook of April Bloomfield’s A Girl and Her Greens. I really enjoy this book but my goodness the woman loves cream and butter. Not so great for someone trying to cut back on those things! So I decided to flip the filling into a sauce, kick out the cream and here we go! Serves 6-8 as a main course. Takes about 2.5 hours to complete whole recipe. Place a large pot of water to boil on the stove. While heating up take all of your cherry tomatoes and cut a small slice into their outer skin with a sharp knife. Don’t slice all the way into their centers. Next, fill an bowl with ice water and place it next to your pot of boiling water. Place all your cherry tomatoes in the boiling water for about 30 seconds. Use a slotted spoon to transfer them to the ice bath after this time. The skins should be easy to remove at this point, so take your time and peel off all the skins. 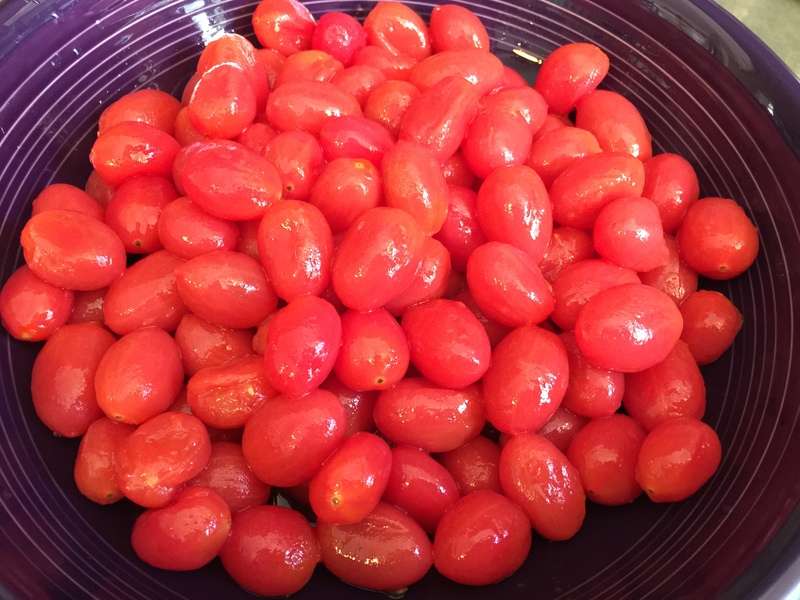 This is time consuming for all these little tomatoes; it will take about 30 minutes to just prep your tomatoes! All this while, leave your water boiling. At this point, set your meticulously peeled tomatoes aside for later. While peeling tomatoes or after, cook your pasta. Don’t cook it to mush, cook for about 8-9 minutes until al dente then take out and rinse in cold water to stop the cooking process. 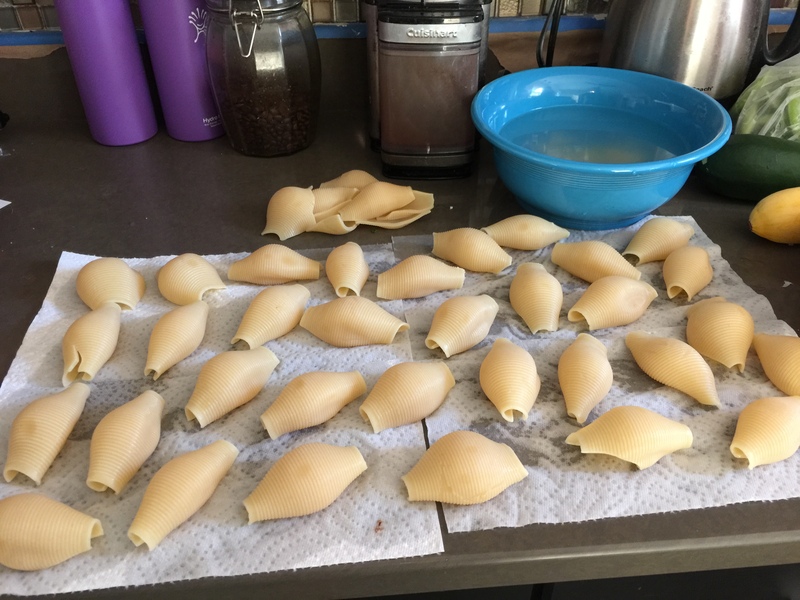 After rinsing, place shells on paper towels upside down to get all the water out of them. You may lose some to breakage (I lose about a half dozen). Time to start prepping the sauce. You will use the same large pot to cook it in. Chop up 4 cloves of garlic and the red onion. Warm up 1/4 cup of olive oil in the pot until glistening on medium heat. Add the red onion to the pot with a big pinch of salt. Cook for about 6 minutes, do not burn the onions. At this time, add the garlic to the pot. You want to try and gently brown the garlic by itself, so push the onions to the side and cook the garlic in the oil for a minute or two. When turning golden, mix all together, turn heat down to medium-low, and cover for 6-8 minutes. Stir occasionally. While this is cooking along, chop up a handful of basil. Add to the mix while cooking and keep stirring. Then chop up 2 cups of spinach and add it to the pot as well. All told keep it going for about another 10 minutes. The onions will really soften up and get a nice light brown color for you. Now you have a nice base for your sauce. This next part will all be uncovered cooking. Time to add in your tomatoes. Add all the fresh peeled cherry tomatoes first. I let them simmer a little on medium heat for 5-10 minutes or so and then you need to go in and mash them up. I use a potato masher for this. You can use a whisk if you don’t have one, it will do with a little more effort. If you have somebody who likes to break or smash things now is their time to shine (I call in my hubby Rob for these duties). Keep on at it with simmering and mashing until they are all broken down into sauce consistency. At this point, add another large pinch of salt, some pepper, another handful of chopped basil, and I add a good 2 tablespoons of crushed red pepper to spice it up. (Less if you don’t like spice!) 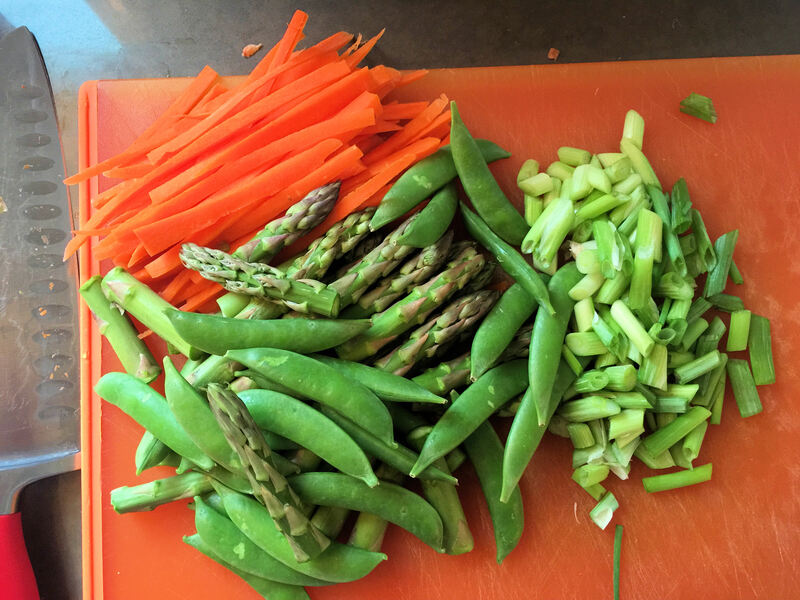 While you are between smashing and stirring, you need to chop your other veg. 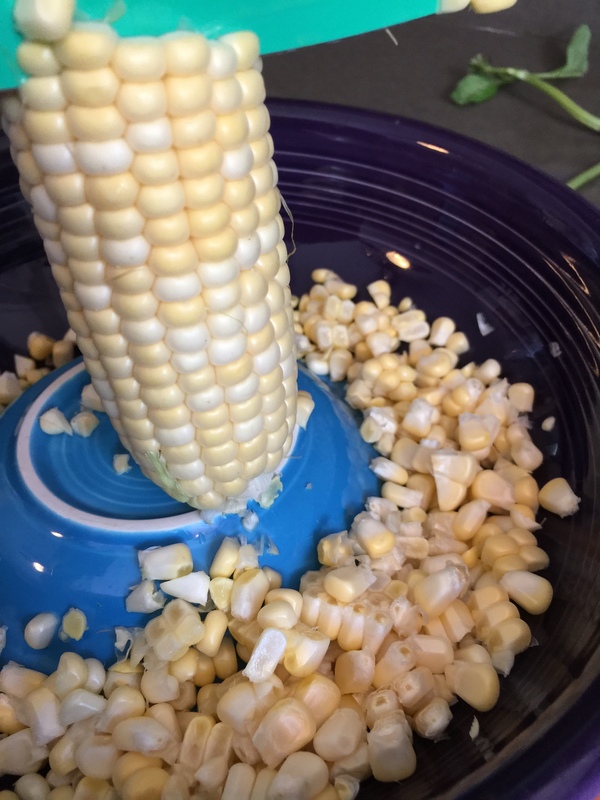 I do a small chop on the zuchinni and squash and I take my corn off the cob by placing it into a large bowl as shown below, so it doesn’t go flying all over the place. You will have some time during this period to also make your tofu ricotta, see below. Once your tomatoes are broken down in consistency, I add my canned extra tomatoes and do the same thing to smash them up. This just helps us to add more liquid to our sauce. After those tomatoes are also broken down, add your corn next. 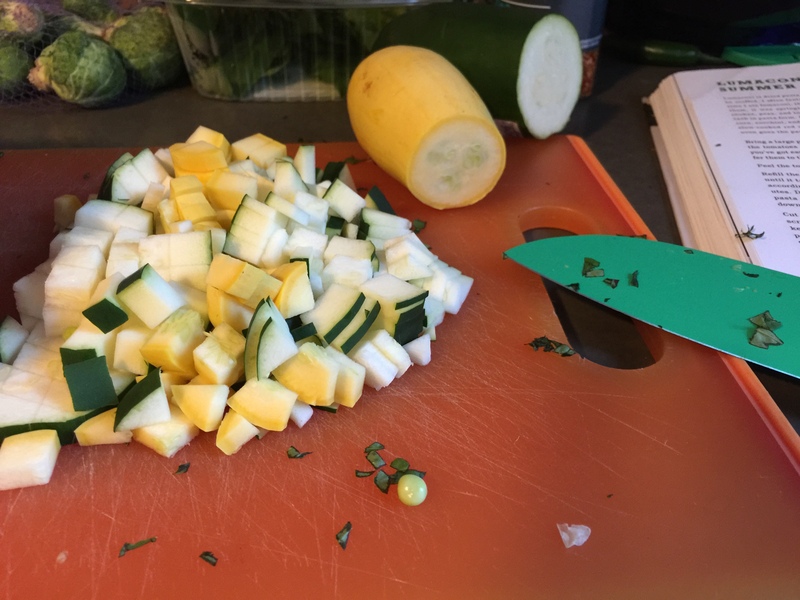 Let it cook for about 5-6 minutes and then in goes the zucchini and squash. After that, just let it simmer on medium-low heat until you are ready to put it on your pasta. Turn the oven on now to preheat to 400 degrees. The tofu ricotta comes together pretty quickly. First, chop up 4 cloves of garlic and get them into some glistening oil in a saute pan with some red pepper flakes (if you like spicy- I do at least a tablespoon). While that is heating give a rough chop to 4 cups of spinach. Get that into the pan with the garlic and oil and wilt down for a couple minutes. While the spinach is wilting, get your two tofu packs. Get the water out by squeezing with paper towels (or you could have already had in the tofu press while you were doing all your other cooking before). You can get it messy and crumble it, it is going into the food processor anyway. When it is not waterlogged, place into food processor. Add the spinach mixture from the pan. Add oregano, lemon juice, olive oil (one to two tablespoons), two pinches salt and pepper, the nutritional yeast. I throw in some more CRP (crushed red pepper) and a large pinch of cayenne at this point as well, but you will do just fine leaving them out. Pulse together until smooth. Assemble the dish to bake. This makes enough for one 9 x 13 dish and a smaller side bowl with 6-8 shells as well. Line them all up, place about 2 big spoonfuls of the tofu ricotta in each and place in the dish. 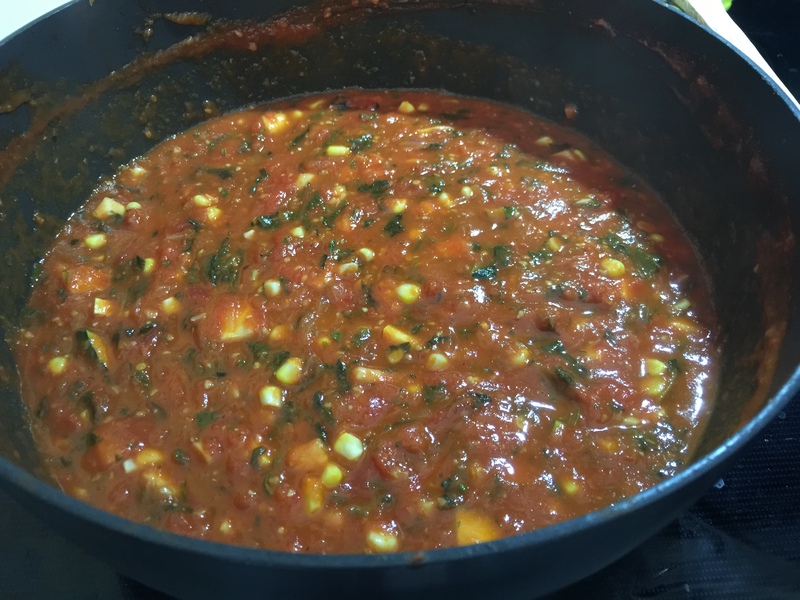 Take your delicious and hearty sauce and spoon over the dish evenly. Place into the over and bake for about 20 minutes at 400 degrees. Remove and if you prefer, top with Parmesan (or vegan substitute) cheese. Place back into oven at broil temperature for about 3 minutes. This was so good and hearty! It heats up really well for leftovers, too. Thanks for stopping by! Please leave any feedback and I am happy to answer questions/comments/emails! ** As noted above, I adapted part of this recipe from A Girl and her Greens. You can (and I recommend you do) pick this up at Amazon.com. Alright, you somehow made it through the billions of random places on the internet to my blog, so thank you! Why am I doing this? As you can note from the title of this blog and my pictures- I am both a doctor and obese. In this world those two things don’t align very well. I strive to always provide the absolute best care for my patients- yet how can I do that when I am not able to do it for myself? I wouldn’t tell my patients to quit smoking while blowing a plume of smoke in their face. So how can I effectively counsel them on healthy eating and weight loss when I continue to struggle with it every day myself? This is the reality I find myself in each day, and I have struggled with it for many years. Ever since my last year of college I started gaining weight and gaining weight and have never been able to lose it. Before then I always had time to exercise a minimum of one hour every day and played team sports all year round so it was never a problem for me to keep my weight reasonable, though I was always a curvy girl. Well, when you are working 3 jobs and maintaining a med-school level GPA this starts to take up a lot of your time. Once you are into medical school and then residency and onward as a doctor into your career- jeez, forget about time for yourself. In medical school I was so embarrassed and ashamed to have to team up with my fellow students and do physical exams together; my body was more like a middle aged woman and they all still had the bodies of high school students. Those horrible group sessions were panic attack inducing and I still hate remembering them to this day; it really separated me from the people who were supposed to be my peers. I now work as an attending physician at a large, busy hospital, and I am never treated poorly or ridiculed for my weight. But when I walk into a patient’s room and hear them say to their family on the phone “I gotta go honey the housekeeper (or lab tech or social worker or nurse) is here,” I always wonder what’s keeping them from seeing me as the doctor? Is it just because I am a woman or because I am an obese woman? I know that I am an good doctor and respected in my field, but I will always have some self doubt that my appearance is ultimately undermining my credibility. I have been a vegetarian since the age of 16, but I was the only one in my family to make this lifestyle change. I never really liked meat and gradually ate less and less of it until one day I bit into a piece of chicken, got gristle, and just spit that poor bird out. I was pretty much left to fend for myself after that and ended up eating whatever was leftover at meals and lots of veggie nuggets, veggie dogs, etc. The bulk of my diet was iceberg lettuce salads and vending machine food at lunch and take out and restaurant food or frozen food heated up the rest of the time. This trend continued all through college and into my adulthood. Most of the time when I cooked anything, a good deal of it was pre-made and pre-packaged and I just would combine it together. Quesadillas were doable, steaming veggies- but I was just a pretty terrible cook. For the last 5-6 years I have been trying to get it together and change my ways. I have gradually stopped getting take out and eating out many meals. I am learning to cook slowly but surely. There have been a lot of roadblocks, and it has not been a smooth ride! I was doing well and losing weight consistently until I had a fall and blew out my knee and needed multiple surgeries to fix it. 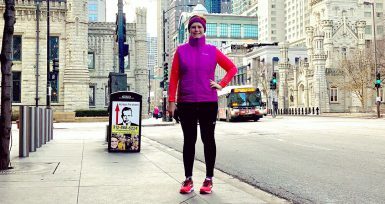 Since then getting back into regular exercise and staying with it has been a challenge due to my “bum leg,” but I am continuing to work at it! 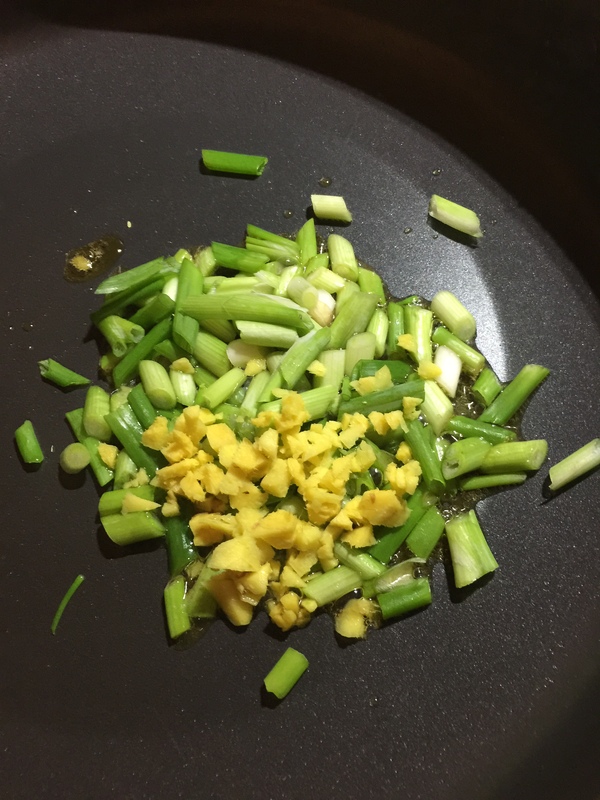 And that brings us to this blog… I have really made a big change with what I am cooking and eating. I have actual cookbooks and recipes galore and I use them! I tweak a lot of things here and there to suit my tastes and that is what ends up on here in the final format. I am still struggling right now with eating too much “junk” and processed food after I come home from work and am too tired to cook- so I want to make myself more accountable everyday. Binging on junk for no reason is definitely a huge problem! My husband Rob and I plan to adopt kids in the next few years, and I want to be able to set a good example for them- which I know we are not doing right now. I’d like to say a final word about weight and body acceptance. I am so very happy to see that recently there has been so much focus on body positivity and self-love. When I was a teenager I was ridiculed for being a size 10-12 and it was really horrible. Nowadays there is so much more variety of shapes and sizes of women all over the media and I think that is a wonderful thing. I can actually buy fashionable clothes so easily in my size (thank you @Macys @Loft @Nordstrom @Landsend and many others for making beautiful and affordable clothes of all sizes). I take full advantage of this and dress my body up to show it off to its best advantage. However, the more obese people there are at younger ages, like myself now, the more we will have health problems when we are older. I know many people who say “I am fat (or obese) but I am healthy, I have no medical problems”. Yes, it is easy to be young and overweight or obese (overweight is BMI up to 30, obese is BMI over 30, morbid obesity BMI over 40 without other medical problems) and still be healthy. What I worry about- in myself and all of the children, teens, and millennials out there whose weights are on the rise, is that we will be the ones with early onset heart disease, diabetes, high cholesterol, stroke, etc. In fact, I already see many patients with just those problems who are in their early 30s or even younger- coming in to the hospital having heart attacks and strokes much earlier than they should be. My point being: don’t hide your body or be ashamed- your weight is only one component of your overall being- but still continue to work to be healthier each day. It is not healthy to be overweight and obese your whole life. I wouldn’t counsel my patients to maintain an unhealthy weight, and this blog is about practicing what I preach.